Professional Baseball Instruction‘s PITCHING HEALTHY PROGRAM for high school pitchers (grades 9 through 12) and youth pitchers ages 11-14 is back for the 2018-2019 off-season training schedule. UPDATE – our first session is SOLD OUT so we added an additional session on Monday and Saturday afternoons starting in January for just $899.99. Check the schedule below for days/times. Want to get your throwing arm healthy? And keep it that way? Want to develop both strength and increased velocity? At the same time? Click here for our full-color brochure. See our Price page for complete payment information. Our Pitching Healthy Program focuses on arm conditioning and the pre-habilitation aspects of taking care of your arm. Although velocity will increase that is not our main objective. We’re more concerned with the overall health and conditioning of the arm and body. That in itself will SAFELY increase velocity. By now you know there is an epidemic of serious throwing arm injuries throughout the United States. Professional Baseball Instruction, in conjunction with the Baseball Health Network (BHN) have created the “Pitching Healthy” Program. This program was developed for the advanced level pitcher. Pitching Healthy was collectively designed by the professional staff of PBI and the BHN, including legendary pitching coaches Leo Mazzone (Atlanta Braves 1990-2005) & Mel Stottlemyre (Mets 1984-93, Astros 1994-95, Yankees 1996-2005, Mariners 2008). Through our knowledge, experience, and research, we developed this program to fully prepare pitchers for their upcoming season. From a progressive throwing regimen, to a strength, conditioning, flexibility, and mental training. Pitching Healthy is guaranteed to improve you overall health and performance on the field. PBI has been developing winning pitchers for over 20 years. The PHP will meet on Wednesdays and Saturdays from December through February. Each session lasts two hours. For high school pitchers - players will attend two days per week in December and January. Currently scouting for the Cincinnati Reds. Veteran of 9 professional seasons. Participated in Major League spring training with both the N.Y. Mets (1993) and the N.Y. Yankees (1995). Doug has pitched over 1,000 career innings as a professional with an ERA of 3.17. Selected by the Baltimore Orioles in the 3rd round of the 1986 Major League draft, he was the 97th player picked in the nation! Voted the NY-Penn League MVP in 1986. Doug established a NY-Penn League record in 1986 by pitching 2 no-hitters, a record which still stands today. After being traded to the Montreal Expos in 1988, Doug made the 1988 Florida State League All-Star team. He was also chosen as the Topps Player of the Month for May 1988. His manager while playing for the Expos was Felipe Alou. Doug credits much of his coaching techniques to Felipe. 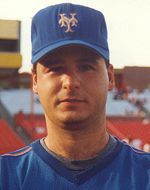 After becoming a free agent in 1990, Doug signed with the N.Y. Mets. He played as a player/coach in Double-A with the Mets until he was promoted to AAA Tidewater. Played in Tidewater for 2 seasons. Played college ball at Seton Hall, was selected as New Jersey’s college MVP for 1984. Holds SHU pitching record for most strikeouts in a game (17 in 7 innings). Doug played high school baseball for Paramus where he was an All-League, All-County and All-State player. Doug also serves as fellow-PBI coach Jeff Remo’s pitching coach at Mahwah High School. Steve attended St Joseph’s Regional High School in Montvale where he played football and baseball. In his junior year he was voted most valuable player of the football state championship and the Bergen County Baseball Tournament. After high school, he accepted a full baseball scholarship to Seton Hall University. In 1992 Steve pitched for the Cape Cod League Champion Chatham A’s. In 1993, Steve was selected as a 1st Team All-Big East pitcher, 1st Team All-State Pitcher and was drafted by the Boston Red Sox. After pitching professionally for 5 seasons, he joined Professional Baseball Instruction and has been training youth, college and professional pitchers for over 15 years. Steve was the pitching coach at St Joe’s High School for 13 years and was the head coach at Don Bosco Prep in Ramsey for 2 seasons. He is an expert on biomechanics and throwing arm injuries. Steve, along with current New York Yankees team physician Christopher Ahmad has lectured and educated doctors, physical therapists, athletic trainers and coaches of those very topics. 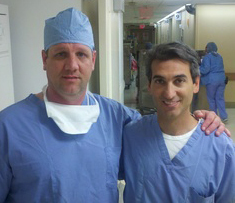 Steve has been rehabilitating players from various throwing arm injuries and surgeries for the past 10 years. He is also an associate for the Mid-Atlantic Regional scout for the Tampa Bay Rays. 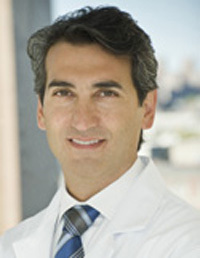 Christopher S. Ahmad, MD, specializes in shoulder instability and labral tears, rotator cuff pathology, ACL injuries, Tommy John surgery, and advanced arthroscopic surgical techniques for sports-related injuries of the knee, shoulder and elbow. He is the Head Team Physician for the New York Yankees and a member of the Major League Baseball Team Physicians Association. He is also Head Team Physician for the 17 varsity teams fielded by the City College of New York as well as for several high schools in Manhattan and New Jersey. In addition, Dr. Ahmad serves as a consultant to local metropolitan gymnastics and swim teams.A recipient of several awards for outstanding research in the field of Sports Medicine, Dr. Ahmad conducts ongoing research in the areas of biomechanics of the elbow, ACL injury prevention and screening, and surgical techniques for rotator cuff repair. 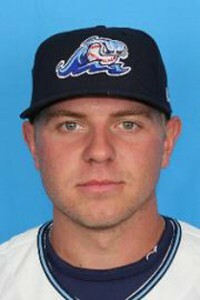 Artie Lewicki joined the PBI coaching staff following his first season of professional baseball where he pitched for the West Michigan Whitecaps in the Detroit Tigers organization. A native of Wyckoff NJ, Artie had a stellar high school career at St. Joseph’s in Montvale where he was a four-year varsity player. In his senior year, Artie posted a 6-3 record with a 2.00 ERA. 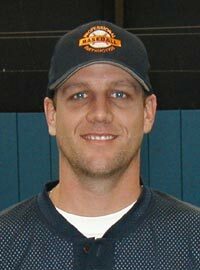 He was named first team all-league honors in 2007 and selected second team all-county in 2009. Artie attended the University of Virginia and pitched all four seasons. Collegiate highlights include an outstanding performance in the 2014 College World Series in which he earned wins in each of UVa’s first two CWS victories, working two innings in wins over Ole Miss (6/17) and TCU (6/19). He did not allow an earned run in 23 1/3 innings of the NCAA tournament, including 13 innings of the College World Series. Artie was drafted in the 8th round of the 2014 MLB draft by the Detroit Tigers.